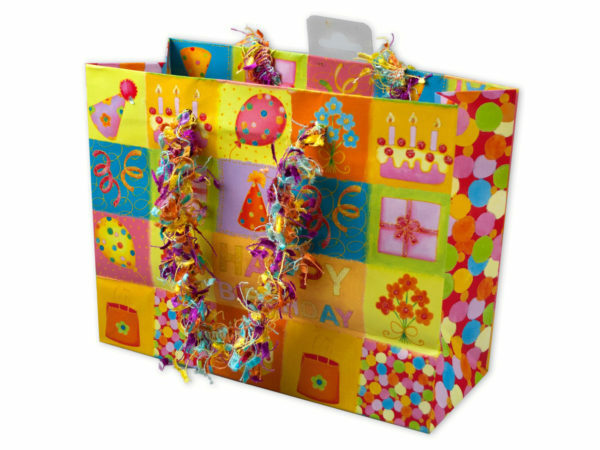 Perfect for birthdays, this small Happy Birthday colorful glitter gift bag features a matte multi-color paper bag with party hats, gifts, cake, balloons, flowers, and streamers drawings and Confetti handles. Measures approximately 4"x 7.65" x 9.75". Comes loose. 3 Piece Sheet Metal Dots Craft Tag 4"x6"